Cloud Computing support Information Technology? Using remote servers to store and process data rather than a local machine is the basis of Cloud Computing. The local machine simply connects to those servers remotely via the Internet and directs the process. In Cloud Computing it is not quite clear what hardware the server is actually being hosted on and in theory does not matter. As the precipitation cycle with the remote server being the metaphorical cloud and information entering and leaving it being water evaporating, hence Cloud Computing. Flexibility is its advantage, all the processes can be moved to a remote server without reinstall and reconfigure said services again and may access them from any computer that has the Internet. The concept of cloud computing fills a perpetual need of IT: a way to increase capacity or add capabilities on the fly without investing in new infrastructure, training new personnel, or licensing new software. Google's Chromebook series of laptops moves the entire Desktop system onto Google's Application Engine. The strong processing power & longer battery life is advantage of cutting down on hardware. 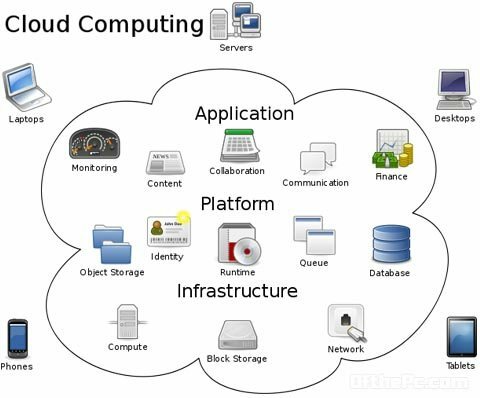 Though Cloud Computing was under speculation earlier that it perhaps fails to help reach mainstream prominence but later experienced immediate change when organizations and individuals adopting cloud based server technologies and more businesses moving to technologies based around the cloud; the necessity at least for people to know what is it? Implies the growth of Cloud Computing.